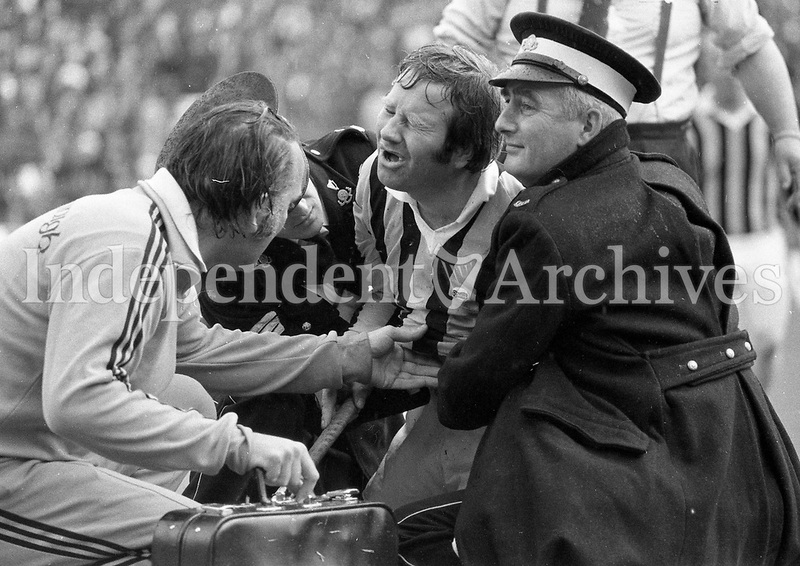 Kilkenny goalkeeper Noel Skehan getting attention following a rough tackle described as, "a belt in the guts". All-Ireland Hurling Final in Croke Park. 1/9/74.